The first significant fight card of 2018 features two time Olympic gold medalist, Claressa Shields, defending her WBC & IBF super middleweight title belts against undefeated contender, Tori Nelson. 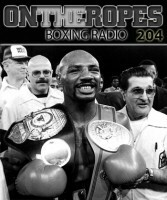 The event takes place at the Turning Stone Casino in Verona, New York and will also feature woman’s middleweight champion Christina Hammer and contender Franchon Crews Dezurn. With women’s combat sports growing in popularity, Shields hopes she can lead her sport to mainstream success in the future. 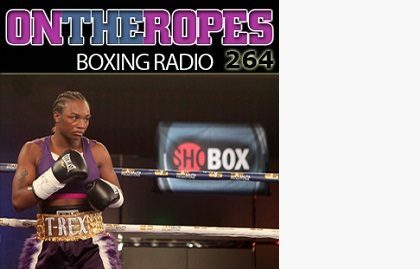 In part 2 of my “On The Ropes” boxing radio interview with Claressa Shields, I talk with her about the recent sparring work she has had with combat star Cris Cyborg and get her views on Cyborg’s potential as a boxer. Shields also talks about former Olympian Savannah Marshall, who has turned pro and has an amateur win over Shields. Additionally, Claressa speaks on Vasyl Lomachenko’s similar path in the sport and gives her final prediction for her fight next Saturday night. Here is what Claressa Shields had to say. Jenna J: Claressa you recently sparred with the MMA champion, Cris Cyborg, what are your thoughts on her as a fighter? Claressa Shields: I think that Cris Cyborg is a really good fighter. I like her MMA career but I’m excited for her to transfer over to boxing because she has really good stand up. She needs to learn a few more things but as far as how strong she is and how fast she punches, she’s a hard worker and I’m really excited for her to come over to boxing. Jenna J: How did she match up physically against you, with you being the naturally bigger fighter? Claressa Shields: I may not have as big of a size advantage as everybody thinks though. She wasn’t that small. I am tall, but we were about the same weight when we had sparred, I was maybe five or six pounds bigger and I had just fought, so I was probably around 163 and she was probably in the high 150’s. We’re actually pretty close in weight, more than what it seems, I’m just tall. Jenna J: Did she hit you with anything good in sparring, anything that caught your attention? Claressa Shields: Oh no, I’ve never been hit in my career where I was like, “Whoa”. We actually sparred four rounds. You guys got highlights of it but I have the full footage and she has the full footage of our four rounds. I think we are just going to use that to our advantages, that’s why we didn’t put it out there. With the highlight video, we just showed you the jist of it. I think if anyone wants to see the full sparring, they need to pay us some money. Jenna J: Do you think that Cyborg could become a champion in woman’s boxing? Claressa Shields: Definitely, with the right trainer and the right work ethic. Just being able to learn and listen, she’s going to be a problem to be reckoned with, especially at 147lbs and probably at 154lbs. Jenna J: Savannah Marshall got some attention by signing with Floyd Mayweather’s promotional company. She is the only person to ever get a win over you in the amateurs. What do you think about her coming into the sport? Claressa Shields: I’m glad that she’s turned pro. The fight between me and her sounds ideal but I’m the two time Olympic gold medalist, she was at both Olympics and she didn’t medal. With her, just like every other woman, she has to work her way up there and if she becomes a mandatory up at 160lbs or 168lbs, then we will fight. I just wish her luck but I’ve been looking forward to fighting her for a while. She beat me when I was seventeen. We always got close to fighting but she always lost the day before, she could never make it far within a tournament, I was always making it really far. We had a chance to fight each other three times and she lost the day before. With that, I just hope that she’s training hard and that she works her way up. Just because she beat me five years ago doesn’t mean she can beat now and should be given the opportunity and money to fight me. She has to earn it just like I had to. She needs to fight against the top competitors and get high in the rankings and when she becomes number one or two with the WBC or the IBF, I’ll be right there. 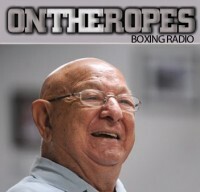 Jenna J: There is only one fighter who has taken a similar path as you, that being Vasyl Lomachenko. He’s a two time gold medalist and in his second pro fight he went to fight for a title. What do you think of him and what he has been doing in the sport? Claressa Shields: Lomachenko is a great fighter, congrats to him on the win over Rigondeaux. 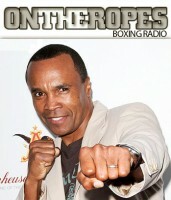 I like Lomachenko, he’s very skilled and I’m looking forward to seeing who he fights next after. I feel like he’s running out of opponents up at 130lbs. 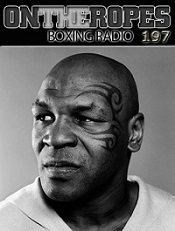 I think he should go up to 135lbs and fight against Mikey Garcia, that would be a very good fight. I just think with the path that he took, I think I would have taken the same path because we know our greatness, we know that we are top competitors. The difference is that Lomachenko has one loss on his record and I don’t. I’m going to stay undefeated and keep training, and hope that I’ll be getting paid like Lomachenko sooner than later. Jenna J: Claressa, what is your official prediction for your fight next Saturday night, how does the fight play out from the opening bell to the finish? Claressa Shields: From the opening bell, I’m going to go out there calm and collective. I’m gonna use my jab and I’ll pick it up where I see I need to pick it up at. But as the rounds progress, I’m gonna throw more volumes of punches, head movement, I’m not really going to get hit a lot, I’m gonna go to the body and think the fight will be over before the seventh round. 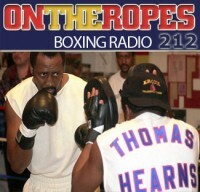 4 Responses to "Claressa Shields: “The difference with Lomachenko’s path, he has one loss on his record and I don’t. I’m going to stay undefeated”"
She’d stop Khan for sure. olympics is the only thing that is common between you and loma. so much disrespect. your name should not even be put in the same sentence as loma.